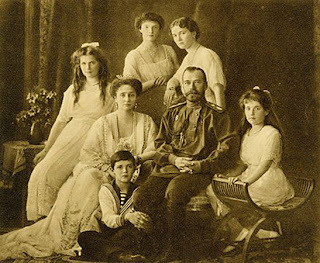 Amidst a raging revolution that sought to wipe out every last trace of imperial elegance and royal splendour in favour of proletarian victory and socialism, the ill-fated family of Russia’s last tsar took a shower of bullets and waddled in their own blood before breathing their last. At the order of one man, the line of the centuries-old House of Romanov that ruled Russia was abruptly and heartlessly terminated, never again to be revived. 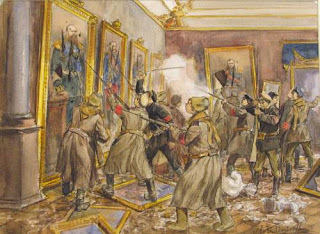 The merciless execution by shooting of Tsar Nicholas II (Николай Александрович Романов, Nikolai Alexandrovich Romanov) (1868 – 1918) and his whole family on the fateful morning of July 17, 1918 met with little grief or pity on the part of the Russian leaders and masses of that time. Having eliminated the last of the Romanovs and thus doing away with the Romanov Dynasty, Russia was bound for a new chapter in its history that would be coloured with turbulence, communism and state capitalism. Nonetheless, before we go into the details of that fateful morning, let me first present you with a brief walkthrough of the events that led up to the Romanovs’ bloody end. 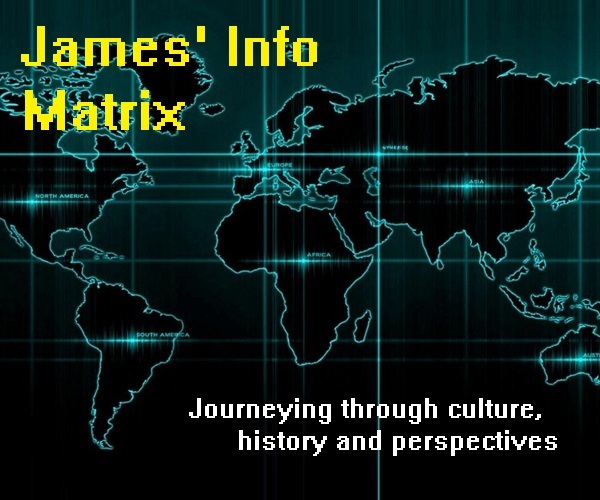 During an era when industrial revolutions and technological advancements were sweeping across the European continent at an unprecedented rate, nations across the continent were one by one experiencing radical changes of their own. The masses became more educated and well-informed of their surroundings, political environments and new ideas. They became more aware of any oppression or folly committed by their governments, and were more vocal and sometimes even radical in tackling such official injustice. As a result, the masses started gaining more influence in their nations’ politics, economies and societies at the expense of a gradual erosion of powers of the traditional aristocratic and ruling classes. Some countries thus saw the abolishment of their monarchies and the setting up of new republics, while others retained theirs by limiting royal powers under a constitution. No doubt, Russia was no exception to this. It, however, took the former route and saw the abolishment of its centuries-old monarchy to pave a new way for a democratic republic and later a communist state. Indeed, the tumultuous era of the Russian Revolution of 1917 and the subsequent Russian Civil War claimed the lives of countless citizens, including those of the country’s last imperial family. For the whole century preceding the Russian Revolution of 1917, the ruling House of Romanov (the Russian royal family) had not been very popular with the people. Year by year, resentment towards the monarch grew as people were getting tired and dissatisfied at Tsarist autocracy in which the Tsar (the Emperor of Russia) held absolute power in his hands alone. The Tsarist regime was felt to be oppressive towards the people and counterproductive to the country’s economy, especially when the rest of Europe was flourishing under the Industrial Revolution. Being more exposed to ideas of democracy and revolutionary happenings around Europe at that time, the Russians began to demand for a more democratic government and the establishment of a constitution that protected their basic rights. 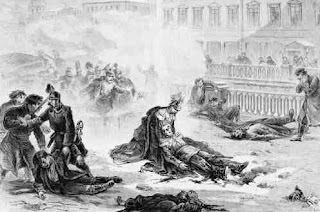 The death of Tsar Alexander I (Александр I Павлович, Aleksandr I Pavlovich) (1777 – 1825) in 1825 spelled an increasing disaster for the House of Romanov. Never before in Russian history had the ruling monarch been so estranged from his people. Dissatisfaction towards the Tsarist regime increased, as Tsar Alexander I’s successors were perceived as either oppressive tyrants or weak leaders, both of whom were not thoroughly interested in the welfare of the people. The Tsarist regime was suffering from a lack of capable leadership that appealed to the masses. Revolutionary movements soon blossomed within the country and garnered widespread support from the public. Such frustration towards the monarch culminated with the assassination of Tsar Alexander II (Александр II Николаевич, Aleksandr II Nikolaevich) (1818 – 1881) in Saint Petersburg (Санкт-Петербург, Sankt-Peterburg) in 1881. When his son, Tsar Alexander III (Александр Александрович Рома́нов, Aleksandr Aleksandrovich Románov) (1845 – 1894) ascended the throne, he took extremely harsh measures to quell all revolutionary movements, a move which further smeared the Tsarist autocracy’s already tarnished image. Bitterness towards the monarch grew by the day and the Tsarist regime was under imminent threat of being displaced due to increasing unpopularity. By the time Tsar Nicholas II ascended the throne in 1894, Russia was already in an extremely divided state and unrest was everywhere throughout the country. The monarch was under increasing pressure to either grant constitutional reforms or be forcefully dethroned. 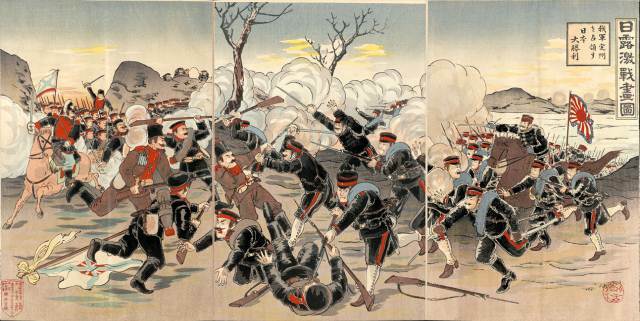 Russia’s unexpected defeat at the hands of Japanese forces in the Russo-Japanese War of 1904 to 1905 soon after became a huge source of embarrassment for the Russians, as it was the first time in history that an Asian power was able to surpass a European country militarily. 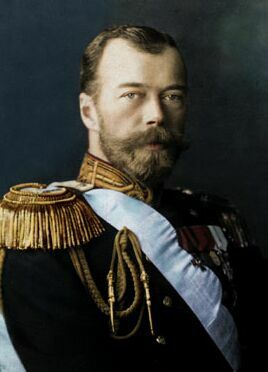 This war, coupled with the weak economic policies and social conditions under Tsar Nicholas II, became major setbacks that proved detrimental to the monarch’s survival. In response to the ever-growing discontentment towards the monarch, Georgiy Apollonovich Gapon (Гео́ргий Аполло́нович Гапо́н) (1870 – 1906), a Russian Orthodox priest, organized a peaceful procession in Saint Petersburg on January 22, 1905. 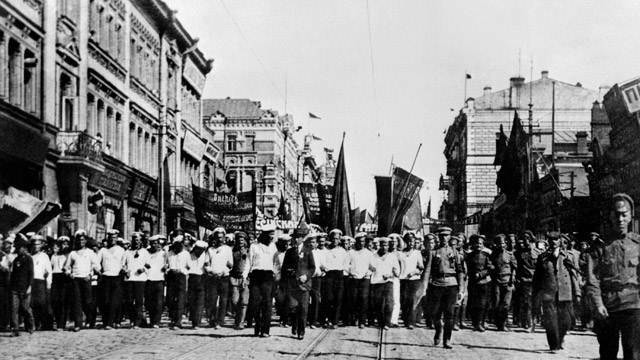 The aim of the procession was to submit a petition to the Tsar asking for immediate reforms to improve working conditions and wages for the working classes, in addition to putting an end to the Russo-Japanese War that was draining the country’s economy unnecessarily. It was a Sunday, and Father Gapon led a crowd of more than 300,000 people towards the Winter Palace (Зимний дворец, Zimniĭ Dvorets), the Tsar’s official residence. They were carrying religious icons and singing hymns and patriotic songs such as “God Save the Tzar!” (Боже, Царя храни!, Bozhe, Tsarya Khrani!) throughout the procession. Most unfortunately, the peaceful procession ended up with a fatal outcome that sent the Tsar’s reputation further down the drain. After releasing a few warning shots that failed to disperse the crowds, the soldiers guarding the palace began releasing shots directly at the crowds, killing several people and injuring many others. The exact numbers killed and injured are not known, but it is estimated that around 1000 people were either killed or wounded from the shots or from being trampled in the commotion. At that time, the Tsar was not at the palace, but all the blame for the shooting was heaped upon him. 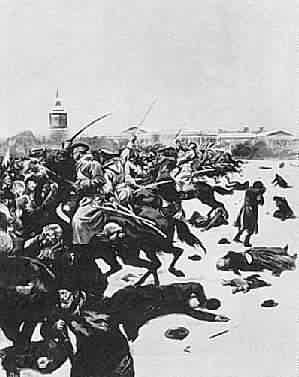 The shooting at the peaceful and patriotic procession that sought nothing other than fair reforms became known as the infamous Bloody Sunday of 1905, and it also earned the Tsar the title “Nicholas the Bloody.” Patience towards the monarch was quickly running out. Tsar Nicholas II knew that the only way to ensure the survival of the monarch and to appease the people was to grant immediate constitutional reforms. This he did with great reluctance, after which he also granted permission for the establishment of Russia’s elected parliamentary body, the State Duma. The Tsar was aware that the existence of the Duma would undermine his grasp of autocratic power, thus he frequently dissolved the Duma to prompt new elections and subsequently reduce its influence. 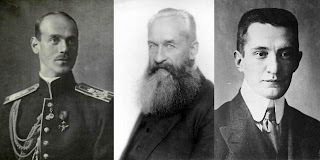 Besides all these, Tsar Nicholas II was also publicly disliked for another reason – his family’s close association with an Orthodox Christian mystic by the name of Grigori Yefimovich Rasputin (Григорий Ефимович Распутин) (1869 – 1916). Rasputin was a highly controversial Russian Orthodox monk who was hailed as a prophet, psychic and faith healer by some, and a “mad monk” or a bogus priest by others. The Tsar’s wife, Tsarina Alexandra Feodorovna Romanova (Александра Фёдоровна Романова, Aleksandra Fyodorovna Romanova) (1872 – 1918), had frequently consulted Rasputin in order to seek healing for her son and heir apparent to the throne, Tsarevich Alexei Nikolaevich Romanov (Алексе́й Никола́евич Рома́нов) (1904 – 1918), who was suffering from haemophilia (a type of blood disorder resulting in impaired blood clotting and wound healing). Nonetheless, Alexei’s healing, which was in fact effective to a great extent, came at a cost. Rasputin was able to gain the trust of the Tsarina and manipulated this to his benefit in controlling the royal family and Russia’s politics. 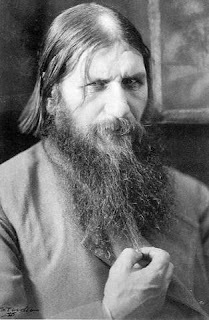 It was said that Rasputin played a role in instigating Russia into participating in the First World War (1914 – 1918) and getting the Tsar to be actively involved in it. While the Tsar was away commanding his troops in the frontline, Rasputin took this opportunity to further deepen his influence over the Tsarina and gain more political influence. Through the Tsarina, he was thus able to control the appointment of government office holders and the execution of government policies. At the same time, he indulged in widespread sexual promiscuity with upper-class women in return for granting political favours, in addition to accepting bribes. Rasputin soon became a thorn in Tsar Nicholas II’s newly established constitutional government. Many were not happy with the Orthodox monk’s influence over the royal family and the government, for they thought that he had used his magical powers to put the entire family under a spell. Several nobles and politicians thus plotted to kill him, and indeed, they succeeded in 1916. But the damage on the monarch’s reputation was already done, and it was just a matter of time before the Tsar was forced to step down. 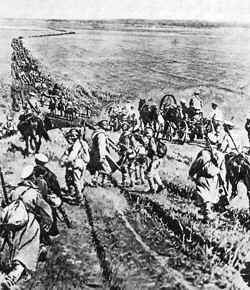 Russia’s participation in the First World War was the last straw for the citizens of Russia. The effects of the war were indeed ravenous. The war unnecessarily drained Russia of much of its resources and left its general population utterly impoverished, with inflation left uncontrolled and unemployment rates high. As if these were not enough, families were also forced to part with their sons as they were forcefully conscripted for war, never again to return alive. 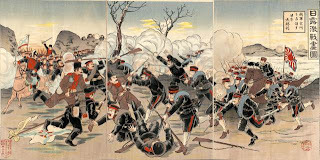 Battle after battle, the country faced defeats and major losses, impacting negatively on the morale of its troops as well. The working classes, which form the bulk of the Russian population, were the hardest hit by the effects of the war, and the Tsarist regime had by this time probably lost even the littlest support it had from the masses. 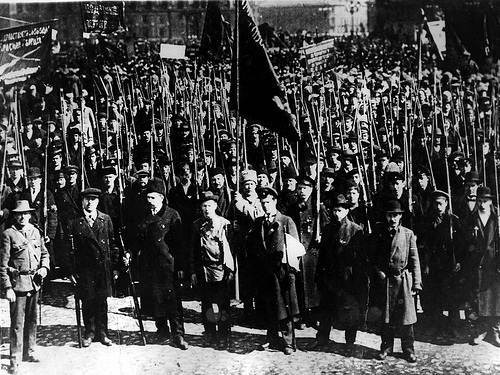 March 8, 1917 marked the day when Russia’s century-old anger finally reached its absolute limit. 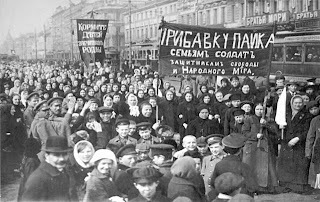 Like an explosive volcano, the fury of the people against the Tsar erupted into the streets of Saint Petersburg in what is known as the February Revolution of 1917 (“February” because it occurred on February 23, 1917 according to the Old Style Julian calendar). What was supposed to be a peaceful gathering in conjunction with International Women’s Day later turned out to be a demonstration demanding for “bread and peace,” or in other words, food and an end to the war. Although the demonstration was mainly participated by women workers who left their factories to protest, it started to take on a more violent tone the next day when male workers joined in as well. In the days that followed, the crowds of protesters swelled rapidly in numbers as workers went on major strikes that virtually crippled almost every industry and business establishment. Repeated violent calls were made for the war to be stopped and the monarchy to be abolished. Upon hearing about the growing unrest in the capital city of Saint Petersburg, Tsar Nicholas II issued orders for the military and police forces to curb the protests immediately. For the first few days, the Tsar’s orders were carried out with loyalty, and the soldiers even resorted to releasing fire at the crowds. Most unfortunately for the Tsar, however, their loyalty did not last long. After just a few days trying to stop the demonstrations, about 80,000 soldiers felt sympathy for the people’s cause and decided to switch sides, directly fighting the police in favour of the masses instead. With these turn of events, Tsar Nicholas II was under heavy pressure from the State Duma and military leaders to step down. 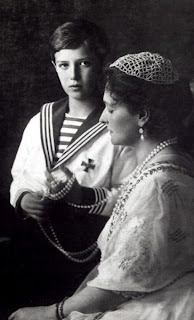 Finally, on March 15, 1917, the Tsar abdicated his throne in favour not of his son, Tsarevich Alexei, but of his brother, Grand Duke Michael Alexandrovich (Михаи́л Александрович Рома́нов, Mikhail Aleksandrovich Romanov) (1878 – 1918). Nevertheless, the Grand Duke refused the crown and stated that he would only accept it if the people voted for the continuance of the monarchy and accepted his ascension to the throne. The country was thus without a head of state and political instability quickly ensued. Leading members of the State Duma took quick action and rose to form a Provisional Government to fill the political vacuum. The Provisional Government under Georgy Yevgenyevich Lvov (Георгий Евгеньевич Львов, Gyeorgiĭ Yevgenʹevich Lʹvov) (1861 – 1925) thus took form and became internationally recognized immediately as the legitimate government of Russia. The government was to reside in power until elections could be held, but was itself rather unstable and often found itself competing against and at times reluctantly cooperating with the more radical Petrograd Soviet (Петроградский совет, Petrogradskiy Sovet), which was an organization of the working classes formed after the February Revolution. Although the two parties often clashed in their political ideologies, they frequently found themselves cooperating with each other for the sake of the people. Amidst all the turmoil and disturbances of the year, one ambitious man saw a golden opportunity to exert his influence and realize his dreams for Russia. He was none other than Vladimir Ilyich Ulyanov (Владимир Ильич Ульянов) (1870 – 1924), more commonly known to the world as Lenin (Ленин). Lenin prepared immediately to return from hiding in Switzerland with German help after getting wind of Russia’s political upheavals and chaotic situation. 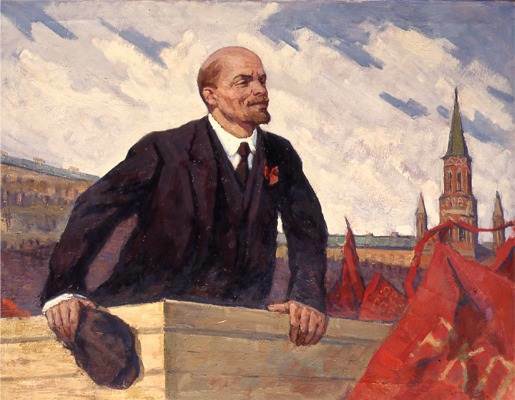 Since the Tsar was now powerless and Russia was in chaos, Lenin knew that the time was right to lead his communist-based party, the Bolsheviks (большевик, Bol’shevik) to victory. Lenin’s return to Russia was initially welcomed warmly by both political leaders and the people alike, but this did not last long. Rather than uniting the people and bringing an end to the country’s political divide, Lenin became a divisive factor that worsened the nation’s political situation. His sharp criticisms of both the Provisional Government and the Petrograd Soviet earned him much dislike from Russia’s political circles and some segments of the working classes. Nonetheless, his slogans, such as “Peace, land and bread,” was equally effective in winning the hearts of other segments of the Russian society, especially those who were increasingly suffering under the hardships of war. 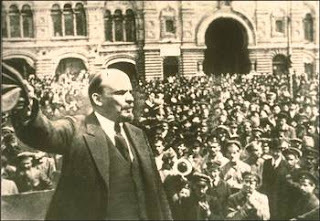 In the summer of 1917, Lenin carried out several attempts to trigger another major revolution in the hope of overthrowing the Provisional Government to set up a communist regime. All of these failed, and Lenin had to escape temporarily to Finland to escape arrest. Nevertheless, he saw another golden opportunity to spread his ideologies and influence when the Prime Minister of the Provisional Government at that time, Alexander Fyodorovich Kerensky (Алекса́ндр Фёдорович Ке́ренский, Aleksándr Fëdorovich Kérenskiĭ) (1881 – 1970), sought military help from the Bolsheviks to stabilize his government. Lenin took this opportunity to garner more widespread support and gather military strength by means of weapons provided by Kerensky. Thus, the stage was set for yet another more major and successful revolution. With the passing of time, Lenin felt that the need to overthrow the Provisional Government and subsequently establish a communist regime was becoming more pertinent. He was by then more confident of the Bolsheviks’ influence and military strength, and began to carefully plan a coup d’état. On October 23 that year, he held a meeting with the Bolsheviks’ top leadership, in which he tirelessly explained his rationale for staging the coup d’état as soon as possible in order to establish communist rule. He was able to convince 10 out of 12 members of the top leadership of his plans, and a date was subsequently set for the next revolution to take place. 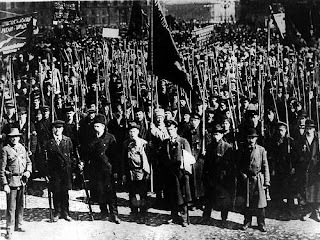 November 6 was chosen as the date on which the coup d’état, later known as the October Revolution of 1917, would take place. (It was known as the October Revolution because it occurred on October 24 according to the Old Style Julian Calendar.) 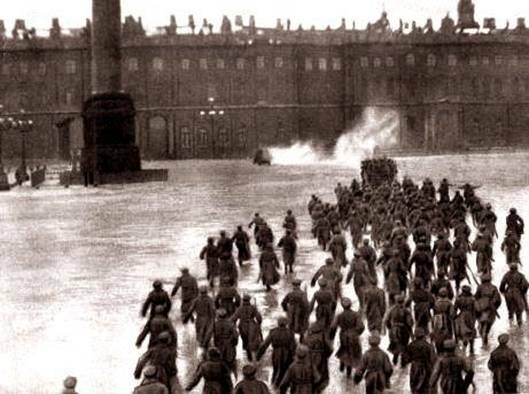 Elaborate preparations were made, and on that day itself Bolshevik soldiers stationed themselves at strategic locations around the capital city of Saint Petersburg. Operations to take over government buildings throughout the capital went on smoothly with very minimal resistance, as most of the guards assigned to protect them had fled after hearing about the revolutionary plot. The few who remained were disarmed peacefully. Not a single shot of bullet was released during the entire revolution. By the morning of October 25, all government buildings fell under Bolshevik control except the Winter Palace, which was the seat of the Provisional Government where Prime Minister Kerensky and his ministers administrated the country from. That morning, Kerensky fled the palace in a car to seek external assistance and re-gather troops in order to retake the capital from the Bolsheviks. He never succeeded, and spent the rest of his life in exile outside Russia. Bolshevik troops subsequently stormed the palace and successfully took control by the next day without much violence. The ministers who were hiding inside were arrested and imprisoned, and victory was thus in the hands of Lenin and the Bolsheviks. 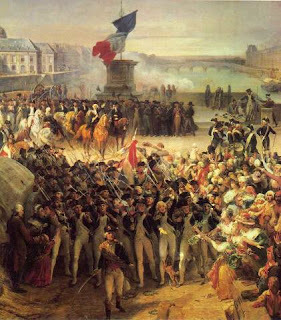 This seemingly smooth and relatively non-violent revolution was only a prelude to another war and more suffering. With the Bolsheviks under Lenin taking over the government, a communist regime was set up to rule Russia. This did not go down well with many political groups such as the Nationalists, Imperialists and Conservatives, who held to more moderate ideologies and were more in favour of democracy and a constitutional monarchy. These different anti-communist parties teamed up and regrouped themselves to wage an all-out war against the Bolsheviks. As a result, the Russian Civil War (1917 – 1923) broke out between the Red Army (Bolshevik communists) and the White Army (anti-communists). And it was amidst the turmoil of this war that the last of the Romanovs were murdered in cold blood under the orders of Lenin. With that, let us move on to the next part of this article. Invest in Ripple on eToro the World's Best Social Trading Network. Learn from established eToro traders or copy their trades automatically!